In the wake of Malcolm McCormick’s death, a massive wave from fans, fellow musicians, friends and family impacted by Mac’s authenticity and generosity washed over the world. On Halloween night at the “Mac Miller: A Celebration of Life” benefit concert, Mac Miller was described by so many as a stalwart friend who supported the dreams of everyone he knew. In a way the narrative is simple, Mac Miller was an everyman’s man: compassionate, kind, and approachable. But there is a much more vital piece to the puzzle that is Mac Miller—underlying all the connections he made and all the lives he touched is Mac’s music. 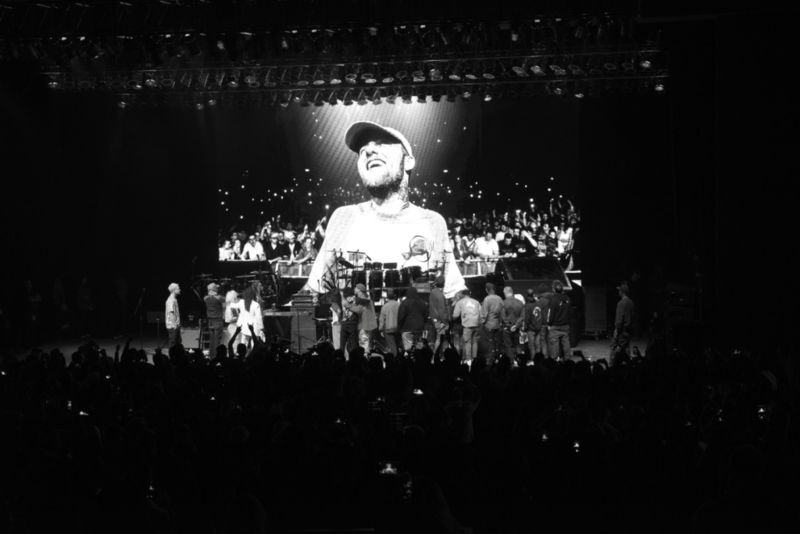 Many of the night’s performers inlcuding SZA, Earl Sweatshirt, Vince Staples, Anderson .Paak, Chance the Rapper, John Mayer and more come back to the stage to watch a final video tribute to Malcolm McCormick along with his parents. And yet, by some standards Mac Miller was just a “rapper”. The label of being a rapper has meant certain things over time, but one of the things it never immediately meant was a strong grasp of musicianship and creative control the way we attach those concepts to instrumental artists like Bon Iver. Often, we look at rap as a game of collaboration in a way other genres aren’t—we look at Jay-Z’s discography and don’t immediately think of him as the architect of the entire soundscape, we see producers like Kanye, No I.D., or DJ Premier. In hip-hop there are rappers and producers, and rarely does one-person excel at both. Mac Miller made hip-hop, but he was more than a rapper – he was the architect and the construction worker. Mac is a firm member of our dual-discipline series “Beats & Bars” because of his overlooked career as Larry Fisherman, erecting the structure of his music before filling it with the words that helped define a generation. Every music journey has origins, some start late, some start early, but the unilateral undercurrent is they are all inspired by someone. As a kid there is always someone to look up to, some figure that inspired the pieces that form your craft, that lead and motivate you. And Mac was a student of the game. Speaking with Complex in 2013 around the release of his 2nd studio album Watching Movies with the Sound Off, Mac listed Big L’s Lifestylez ov da Poor & Dangerous as the reason he even started rapping, while mentioning records like A Tribe Called Quest’s Midnight Marauders and the Wu-Tang Clan’s Enter the Wu-Tang (36 Chambers) as a few of his top hip-hop albums of all-time. In a video tribute to him, DJ Premier gushed over meeting Mac in Premier’s famous studio–D&D, or “The HeadQcourterz” –and witnessing Mac ceremoniously strut to the booth to stand amidst the air that legends like Biggie had once breathed. But Mac studied more than just the ways of the emcee. He pushed himself to learn production and later, instrumentation: piano, guitar, drums, and bass. These skills didn’t immediately transfer, but would leave a permanent stamp on hip-hop as Mac further explored them. When Mac Miller launched his career, he was just “easy Mac, with the cheesy raps.” He left marks with his lyricism, while generally floating with his laid-back cadence over beats produced by a litany of producers. His first mixtape, But My Mackin Ain’t Easy, was released under the moniker Eazy Mac and mirrored more traditional construction: receiving beats from producers and running across them with his playful lyrical style. This strategy crescendoed with his first studio album Blue Slide Park. Blue Slide Park was critically panned. Mac’s early career offerings from 2010 mixtape KIDS and 2011 mixtapes Best Day Ever and I Love Life, Thank You had begun showing their cracks by the time Blue Slide Park was released, and he wasn’t producing or propelling his sound forward yet. Mac Miller was the heir apparent to the void Asher Roth’s tapering career was leaving in 2011 and he acknowledged the comparisons to Roth as two white college frat rappers. Mac Miller was half correct. If he thought his discography at that point was as varied as he described, it was because he hadn’t predicted what was coming next. Blue Slide Park was critically eviscerated upon its release, but it still moved units at a historic level considering it was coming from a small independent label—Rostrum Records—and was a debut project. The discrepancy between critical and commercial response exposed the depth to which critics don’t really matter, but it also exposed exactly what market Mac was appealing to, and this would soon change. Mac’s artistry exploded beyond rapping in the period following Blue Slide Park. Before 2013, Mac had just 4 solo production credits in his own discography, but as Mac began producing his own tracks, his sound became submerged and muddled. It felt like a stuffy room, where the weed smoke shifted silently in front of streams of light passing in from the window and the TV screen illuminated with a Modern Warfare 2 lobby; double cups littering the floor and table. This trend started in March of 2013, just before Watching Movies with the Sound Off. Mac unveiled his producing alter-ego Larry Fisherman on a beat tape titled Run on Sentences vol 1. The mixtape projected Malcolm McCormick as a producer under the Larry Fisherman pseudonym, focused on creating sonic soundscapes full of live instrumentation, well-placed drum patterns, and deftly placed vocal samples from videos with only the occasional verse. We identify artists like Knxwledge as a producer with an atmospheric sound that is much less primarily concerned with vocals, often obscuring words and gathering seemingly random samples. 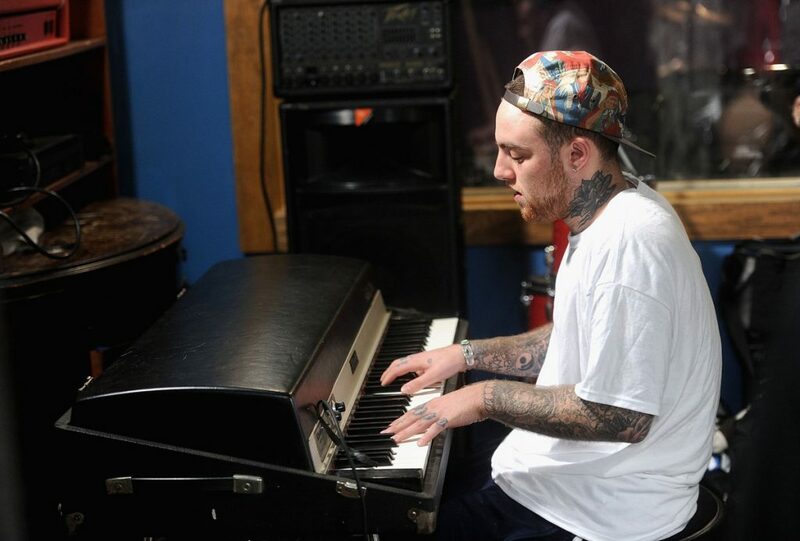 Mac’s work as Larry Fisherman follows this same vein–samples, drum patterns, instrumentation, and chord progressions mattered more than vocals. The sound we would later coin as “sad rap” or “lo-fi” was popularized in this phase of Mac’s career. Maybe it was a result of working with Earl Sweatshirt who was experimenting with similar sounds for Doris, Earl’s debut as a self-producing artist. Or maybe it was just from the strife of drug addictions and celebrity finally catching up to him. Whatever the reason, Mac’s work reverberated with muddled clarity. 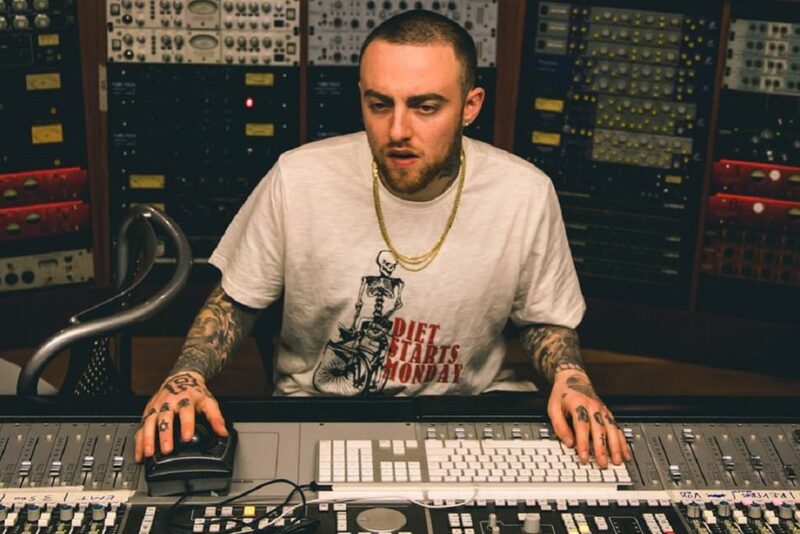 Mac went on to produce 56 tracks across 6 projects from 2013-2015 under the “Larry Fisherman” moniker. A trend that eclipsed any of the production work he did in any 2 year period before or after. Watching Movies with the Sound Off, featured Mac Miller solo production on 4 tracks, the most production he would offer to any of his studio albums. Mac’s other highly-received release from this period is 2014’s Faces which featured solo production on 13 of the 24 tracks. A standout from that project is closer “Grand Finale,” an eerily predictive track where Mac ruminates on his own death and the response it would garner. 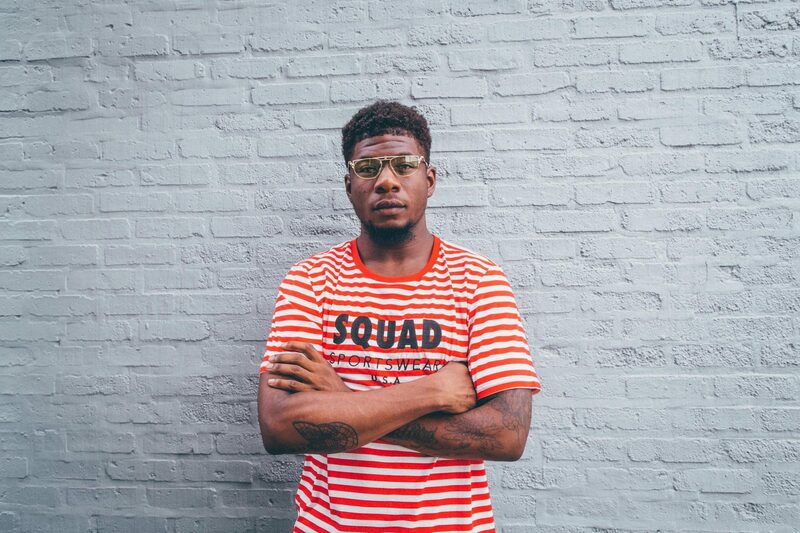 He breaks down the process of the track’s production for HighSnobiety and reflects on the dark place he was in, but also illustrates how he moved through each medium to create the track–falling in love with chords on a piano, crafting the drum pattern, cueing fireworks, and dropping a guitar solo. 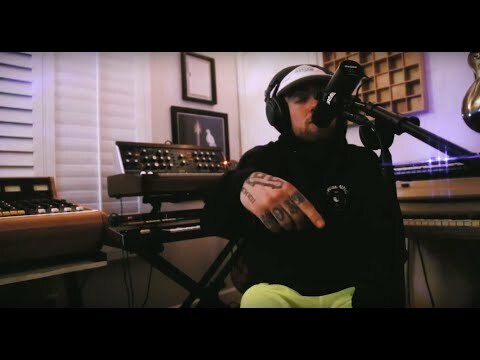 Highsnobiety TV: Behind the Track with Mac Miller on "Grand Finale"
Whatever the reasons were, Mac Miller embraced Larry Fisherman and found his piano, guitar, bass, and a new love for drum patterns in 2013. Mac crafted work that would propel a horde of younger generations who would mix their drugs with their sadness and sift through genre bending hip-hop. And he soaked in the sound for several years like an athlete littered with aches and pains in an ice bath. 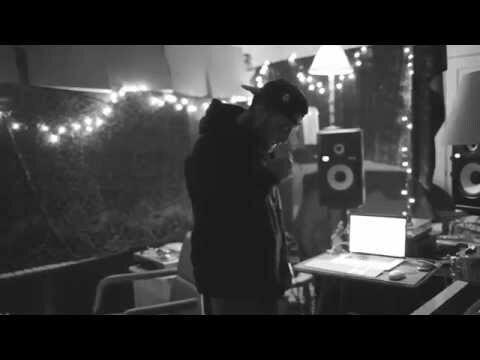 In the stretch from 2013 to his 2015 major label debut, GO:OD AM, Mac released Watching Movies with the Sound Off, Faces, Delusional Thomas, Run-On Sentences Vol 1 & 2, Live from Space, and produced Stolen Youth for Vince Staples. While Watching Movies is the only studio release in this group, this phase of Mac’s career was his defining moment, the period that moved him beyond the frat rap of Blue Slide Park and early mixtapes. 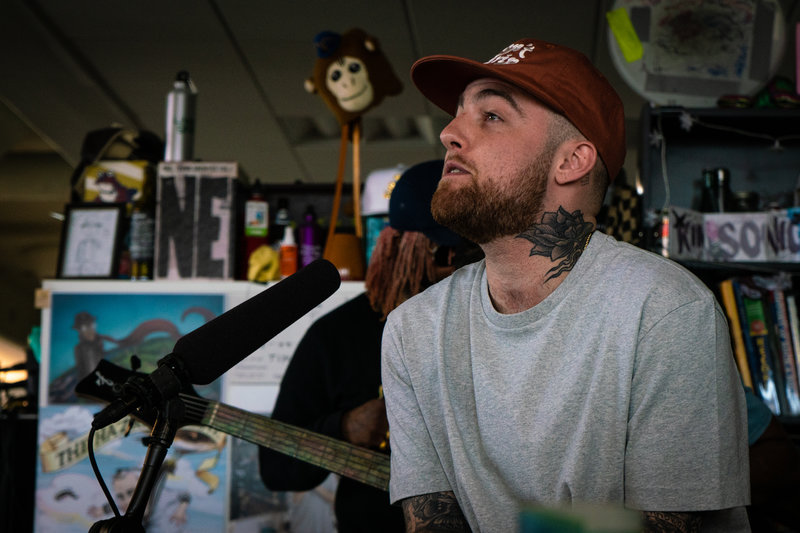 This wave of experimentation as both Mac Miller and Larry Fisherman launched him into a major label deal with Warner that allowed the freedom of GO:OD AM, Divine Feminine, and Swimming. Freedom meant hip-pop anthems with Miguel like “Weekend,” Anderson .Paak assisted funk on “Dang,” and the Thundercat, Snoop Dogg, and Syd assisted nihilist movement that is “What’s the Use?” Mac Miller’s last chapter, his final three studio albums, was an eclectic hodgepodge of sounds intentionally combined and executed with his creative vision at the forefront. You could say a lot of things about Mac, but you couldn’t say he was making music for anyone else, or under anyone else’s guidance—he made music for himself and from himself. And even if he shifted away from producing the entirety of these tracks, he never gave up his talent for music creation. 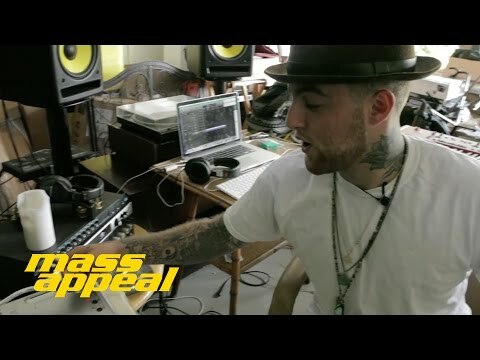 In a video posted before his final album Swimming’s release Mac showed himself in a studio session revolving around “Inertia”. 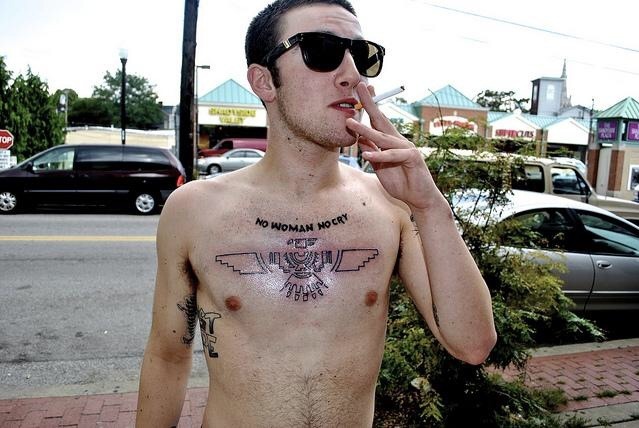 Mac Miller was known as a rapper, but Malcolm McCormick–the man behind the masks of Mac Miller, Delusional Thomas, Larry Lovestein, and Larry Fisherman–was more than that. He was a rapper, producer, multi-instrumentalist, friend, brother, and son. Our dual-discipline series would be incomplete if we didn’t mention the work Mac Miller did as an artist as Larry Fisherman. At the beginning of his career, Mac seldom tried his hand at producing but still made well-received music. 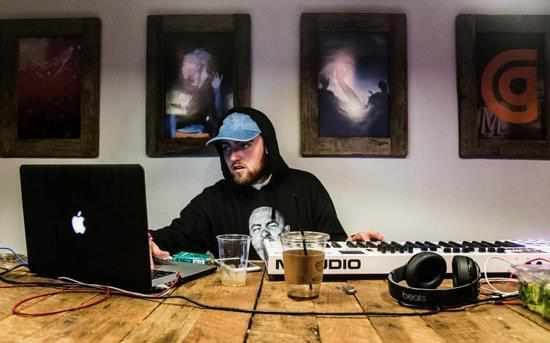 But in 2013, before the release of his 2nd studio album Watching Movies with the Sound Off, Mac Miller emerged as a producer and multi-disciplinary artistic force to be reckoned with. He expanded his sound, incorporating lo-fi aesthetics and instrumentation, making a jazz album and a live album, and producing for himself and others at a rate he would never match again. This period of musicality and production set the stage for the diverse musical offerings his final three albums delivered. Malcolm McCormick created music using every gift he was given. 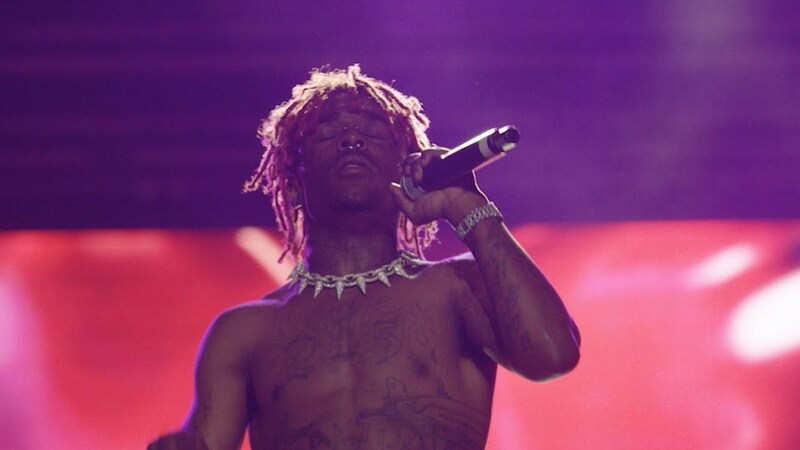 He transcended just being a “rapper” and became a dual-discipline musician: a rapper-producer that left us with more of him than we deserved and will ever truthfully be able to comprehend.